Chelsea Foster recently finished 93rd at the NAIA national cross country meet in Vancouver, Wash. Vincent Kibunja finished 96th in the men’s race. Foster and Kibunja were the lone Goshen qualifiers for the Nov. 18 race, but they aren’t ready to be done. “It wasn’t bad for my first time at nationals, but I wasn’t satisfied,” said Foster. These two runners are special, according to cross country coach Rustin Nyce. “They both kind of have that same mentality where they don’t mind doing the hard work and they know doing the work is going to benefit them,” Nyce said. When Foster visited Goshen as a recruit, Nyce noted that even though she didn’t have the best times, she had the best attitude. That was something he felt confident investing in and something that he knows has paid off. Nyce explained how these particular runners were capable of qualifying; the short, and almost cliché answer? Hard work and commitment to running. Kibunja showed his dedication simply by arriving at Goshen College. Admitted but not enrolled for the fall semester, he showed up to campus in August with no place to live, no money and no job. “God is good. I’m in Goshen,” Nyce recalls him saying. What Kibunja did come with was a readiness to run and be part of the team, and he credits some of his success to his teammates. Though Nyce admitted it was nice to get off campus for the race, it wasn’t a vacation for these runners. Both met their goals of placing in the top 100 runners and getting season best times. But they aren’t ready to be done working; both athletes have nationals in their sights again for next year. 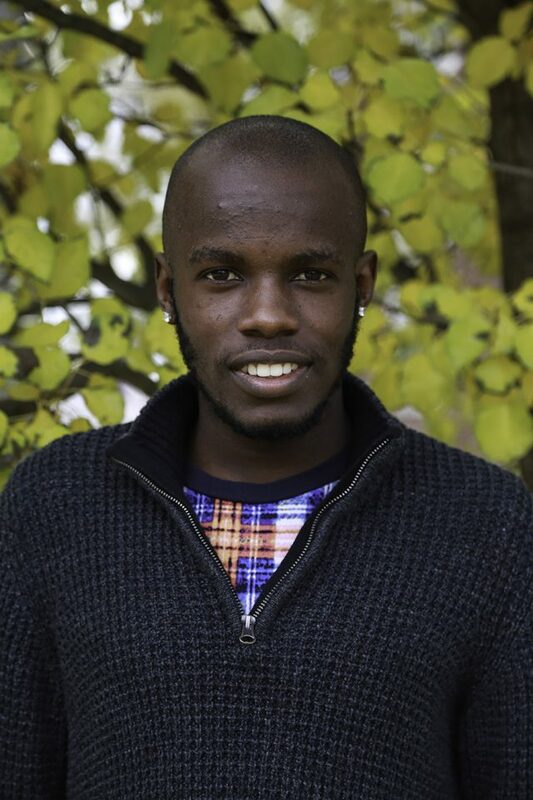 “I want to improve and continue to work hard for Goshen College” Kibunja said.